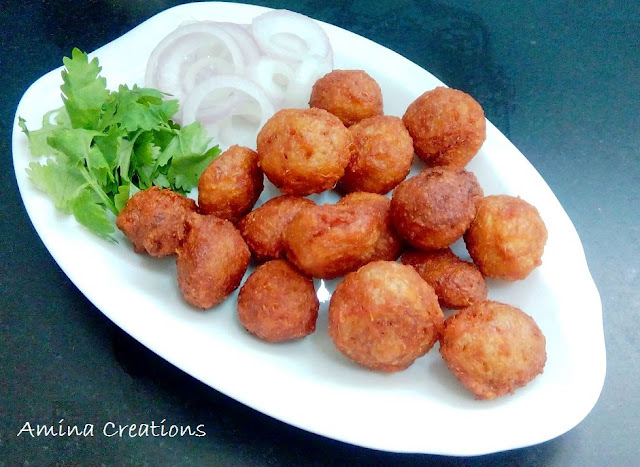 Soya chunks are rich sources of protein and once in a while we make something with soya chunks at home. 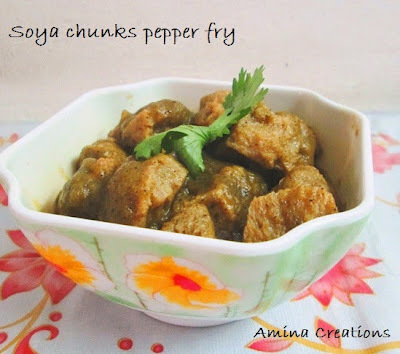 I have already shared a couple of recipes made with soya chunks like Soya chunks pepper fry , and Soya peas pulao and today, I am going to share a delicious recipe of Soya chunks 65. Soya chunks 65 can be served as it is or you can also add it to your vegetable rice or pulao. Boil 4 cups water in a pan and add the soya chunks, boil for a couple of minutes and switch off the gas. Close a lid and allow the soya chunks to remain in hot water for 15 to 20 minutes. After that, drain the water and wash the soya chunks with normal water. After it has cooled down, squeeze out the excess water from the soya chunks and keep ready. Now take a bowl, add chicken 65 masala, corn flour, ginger garlic paste, red chilli powder, salt, curd and pepper powder and mix well. Add lemon juice and the soya chunks and mix well. Check for taste. Add salt or chilli powder or lemon juice if necessary. Allow this to marinate for at least 2 to 3 hours. Heat oil in a pan and when oil in hot, deep fry the soya chunks in 2 or 3 batches till golden brown in colour. 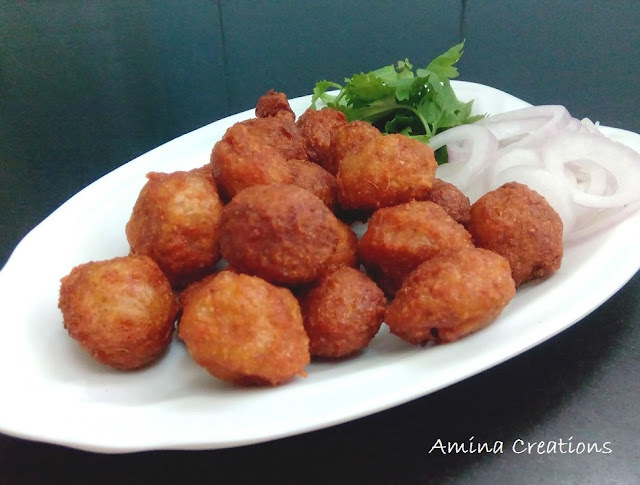 Garnish with coriander leaves and onion rings. The red colour is due to the chicken 65 masala that i used. I have not added any colour. Wow!Looks so yummy and perfect...Kids would love this!